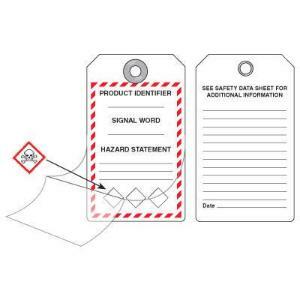 Safeguard important chemical hazard information. Protect your GHS tags from dirt and grime by peeling off the adhesive layer and sticking it to the front of the tag. Add any additional information to the back of the safety tags.